You are here: Home / All blog posts / Vote for this year’s holiday card! Previous post: Many celebrations: cloth, craft, chocolates, and Chicago! Next post: The votes are in! Vote for this year’s holiday card! I spent part of this weekend working on my holiday card for this year. 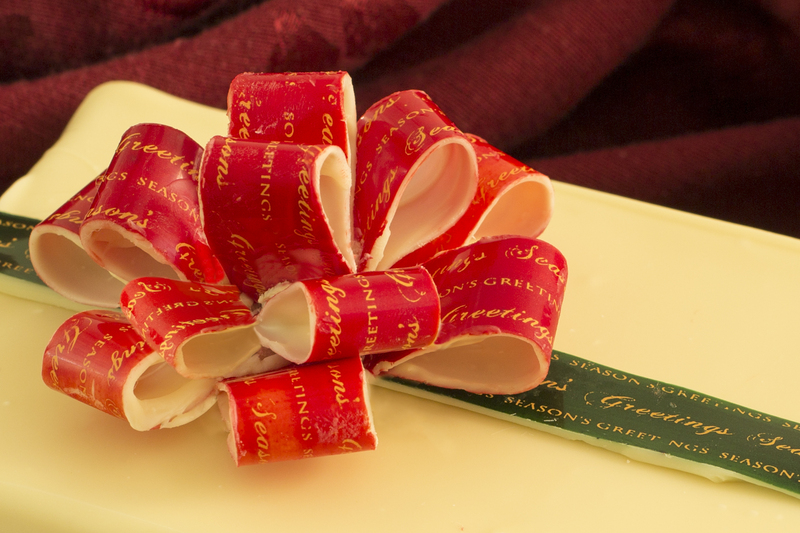 I made chocolate ribbons, boxes, and bows! and then my good friend and creative partner Lieven came over and did a photo shoot for me. We wound up with three excellent candidates for this year’s holiday card. I can’t decide between them, so I’m putting it up to a reader vote! Leave a comment voting for your favorite photo, and I’ll use the winner as my holiday card for this year. Which one should I use? Leave your answer in the comments, below. I like number 1 best. I favor #1 using the Green and Red colors of Christmas. Wonderful creations, all! 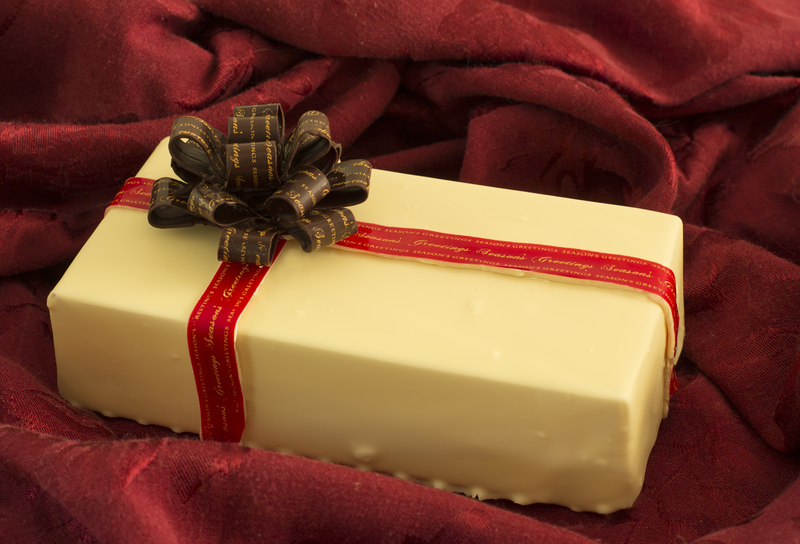 #1 is perfect artistically and seasonally — I’d leave the chocolate for the surprise inside! Number 1. Hands down. The red and green and creamy chocolate together are excellent. Definitely #1 – I think it’s the close-up shot that’s winning it, as opposed to the whole box shots. No. 1 gets my vote. not is the most ‘christmasy’ one of all! I love #2 because it is elegant. But I’d still be thrilled to receive #1, or 3. I vote for 2 because it is more obviously chocolate. But on sheer good looks, I’d vote for #1. #1. It dominates the space. Is cheerful. Reflects the season and your good wishes. #2 is more sophisticated. Not as friendly. #3 is homey, a bit ordinary. I prefer #3, but the crowd seems christmasy, so #1 definitely fits that. #1 – exuberant, can read the words, love the colors, and makes me happy to see the image. 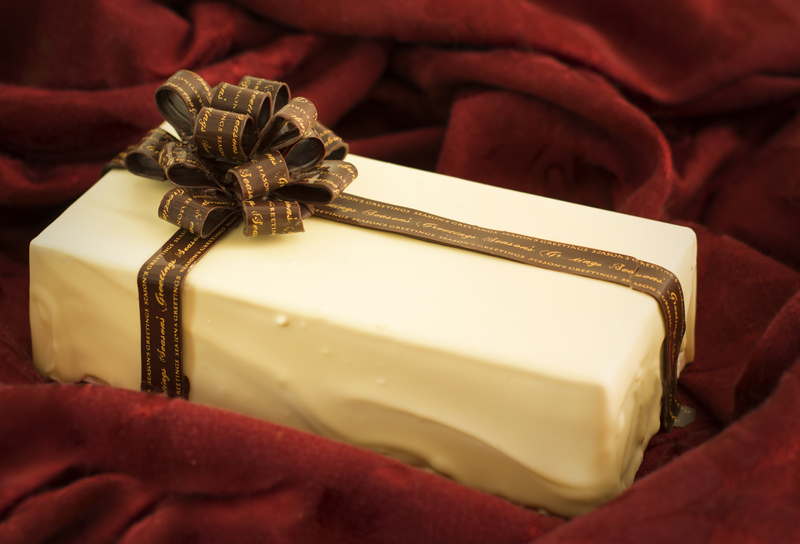 I love #1, red bow and green ribbon on white chocolate. I like #1 the best. Nothing says “Christmas” like the colors of red and green. Tien, I vote for #1. Can’t believe it’s chocolate! I like them all, but number one wins by looking the most edible and Christmas like of the three choices. Well done Tien. I vote for contestant number 3!